Right now over at Amazon you can score this highly rated Ninja Express Chop for ONLY $13.97 (Retail $19.95). 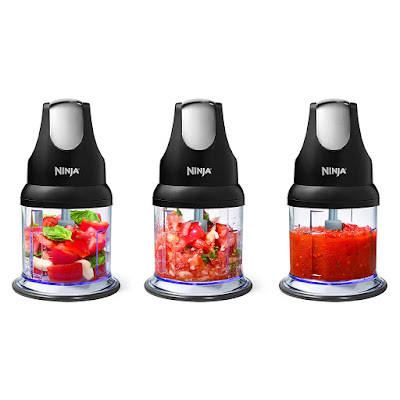 The Ninja Express Chop is perfect for chopping, mincing and pureeing ingredients into soups, sauces, dressings, toppings, dips and more. All parts are BPA free and all detachable parts are dishwasher safe.